Momin Mansoor, a Class 12th student, of our school has been selected by Jammu and Kashmir Cricket Association, Srinagar to represent J&K State in U-19 Cooch Behar Test Cricket Tournament organised by the BCCI. The tournament will be played between 30th October 2015 to 30th November 2015. 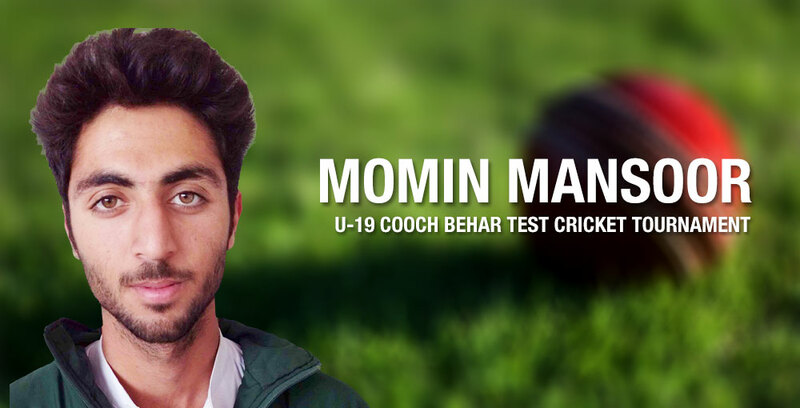 It is worth to mention here that Momin has made us proud by leading U-19 North Zone team as Vice-caption in Under 19 Vinoo Mankad Cricket Tournament.